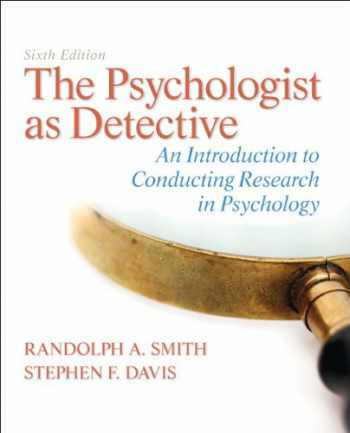 Acknowledged author Randolph A. Smith wrote The Psychologist as Detective: An Introduction to Conducting Research in Psychology (6th Edition) comprising 456 pages back in 2012. Textbook and etextbook are published under ISBN 0205859070 and 9780205859078. Since then The Psychologist as Detective: An Introduction to Conducting Research in Psychology (6th Edition) textbook received total rating of 4 stars and was available to sell back to BooksRun online for the top buyback price of $77.63 or rent at the marketplace.